In Ford, presented across territory created for China. Previously, this name was in the company model in Australia, which was released in 2004-2016. The novelty is based on the Chinese budget SUV Yusheng S330, implemented in China at least $ 7,300. From the "donor" platform our hero has a different front end, wheel disks, front panel, and logo. The list of available options includes an emergency auto-braking system with possible recognition of pedestrians, an active "cruise", a control system for "dead" zones and a brand new multimedia with support for wireless LTE networks. The engine compartment of the new Ford Territory remains unknown. Preliminary data indicate that there will be a 1.5-liter 4-cylinder 165-hp engine, which is present just in Yusheng S330. 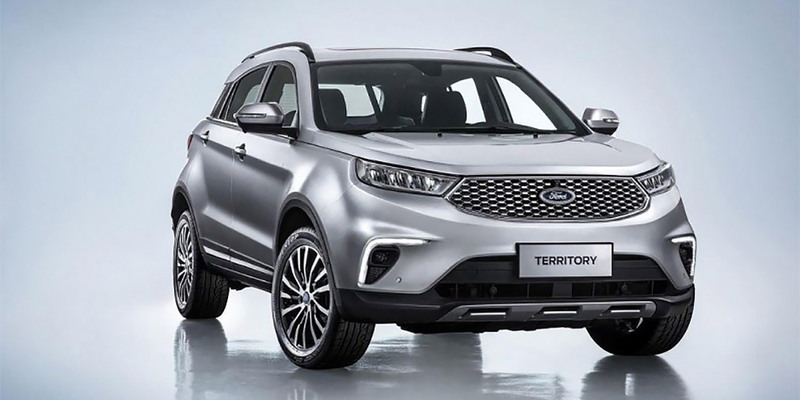 Publicly the new Ford Territory debuts in September at the Auto Show in Chengdu. Production of cross-country will be at the Jiangling Motors Corporation.